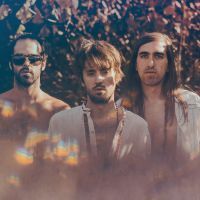 London-based folktronica outfit Crystal Fighters have announced details of their ‘Star of Love’ remixes album, due out September 23rd. 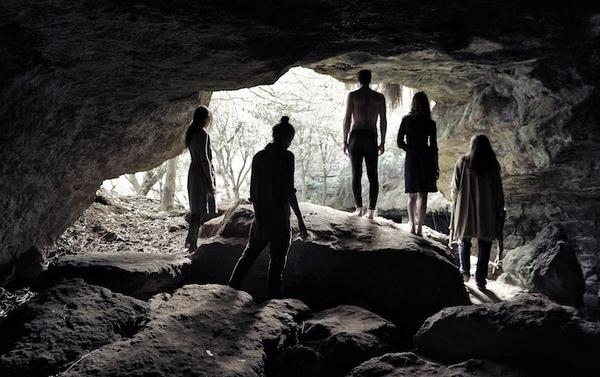 Crystal Fighters are currently in the studio recording the follow up to their much lauded debut album ‘Star Of Love’, set for a spring 2013 release. But, in the meantime - to keep their fans needs satisfied - they’ve put together a remix album which will be available from Sunday September 23rd. The LP is an album of tracks from the original record remixed by some names you may know and love, and some you may grow to. The band approached their favourite artists and producers and invited them to remix a track of their choice. Their picks compromise ‘Star of Love (Remixes)’, due out on 23rd September 2012 on Zirkulo/PIAS/Atlantic Records. The package contains fifteen inspired interpretations of seven tracks from the original album by a host of talent from the dance world. Current US single ‘At Home’ is remixed by band-of-the-moment Passion Pit, south London post-dubstep siblings Disclosure and French hipsters Pony Pony Run Run. Drum and bass heavyweight producers Brookes Brothers and dBridge re-work ‘In the Summer’, which also has a version by Hotflush Recordings’ hyped Brooklyn duo Sepalcure. Totally Enormous Extinct Dinosaurs (TEED) remixes ‘Xtatic Truth’ while UK noise-maker Lapalux and Dutch DJ and producer Alvaro take on ‘Plage’, electro star D/R/U/G/S, dubstep duo Roksonix and Norwegian act Diskjokke remix ‘Follow’ while D&B/dubstep Ram Records duo Delta Heavy re-work ‘I Love London’. Finally ‘Swallow’ is remixed by the Indonesian electronic artist Angger Dimas and dubstep producer FuntCase. You can check out the Passion Pit remix of ‘At Home’ now - make sure you don’t miss the full album on the 23rd!